It’s not just our gardens that are blooming but our business is too. What started as a chat over a coffee a couple of years ago has grown into a thriving small business. At the core of the business is our desire to deliver top quality products and advice to our customers. 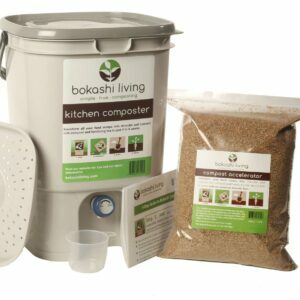 We are happy to see sales rising each month, but we also work hard to make sure that we are the best option for bokashi products and knowledge. What does this growth mean to you (our customers)? 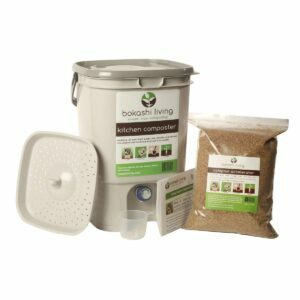 We want you to be able enjoy your bokashi composter for years (even decades) to come. We have been working closley with our manufacturer to ensure the best quality production. Easier to remove lids which are durable and stand the test of daily removal. Airtight buckets to provide the optimum anaerobic conditions for the bokashi microbes. High quality easy to open (and close) spigots. We have been working with our distributors to get the best rates on shipping and handling. 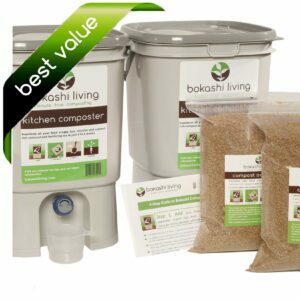 All these savings are passed straight on to you, our customers, to make sure we get your bokashi products to your door as quickly and economically as possible. Over the past few months we have been running at full capacity with our bokashi production process. April saw the arrival of our new (custom-made) drier. It’s bigger, faster and produces amazing quality bran. Win, win and win! So hopefully that will mean fewer grey hairs worrying that our inventory of bran is getting low! Don’t worry, we are not going to sit back just because things are going well. We will continue to develop and grow. Lots of interesting projects on the go….. watch this space! Over 310,000 lbs of new, fertile soil!